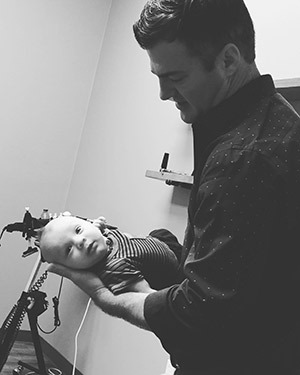 Dr. Judd specializes in providing chiropractic care for children, using the gentlest touch to make sure their bodies are working at their greatest potential. He’s trained extensively with the Epic Pediatrics program, learning the expertise needed to treat all ages of children. A child’s visit with us is much different from an adult’s, with techniques suited to their smaller size and the nature of their problem. At ProHealth Chiropractic Center, we help your body heal by using a neurological approach that treats the nervous system, which controls the rest of the body. It’s important to us that care is accessible to everyone. Affordable plans are offered to make sure that every member of your family can come in for regular visits. We offer a free workshop held at regular intervals called “The Perfect Storm.” During Dr. Judd’s talk, you’ll learn about the common ingredients that have led to the all-too-common troubles today’s children are experiencing with autism, ADHD and sensory processing disorders. This informative, impactful event has the power to transform you and your children’s lives. We encourage all members of our community to attend. Visit http://perfectstormtx.com/ to find out more. Find out when our next talk is by contacting us and speak to a member of our knowledgeable, helpful team today!